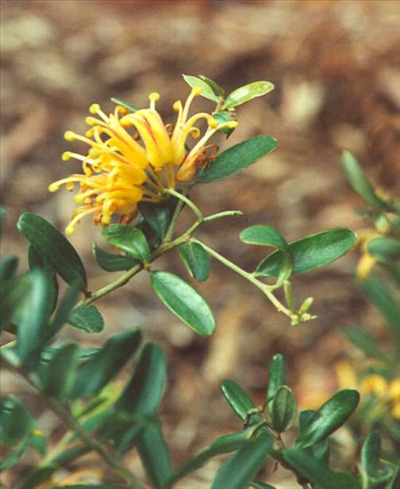 Ornamental, small, orange-yellow flowering shrub with deep green leaves. Tolerates light or heavy well-drained soils. Moderately drought tolerant and hardy to most frosts. Prefers full sun or partial shade position. (Parents are G. victoriae and Grevillea alpina.) Long flowering. Attracts Hummingbirds.